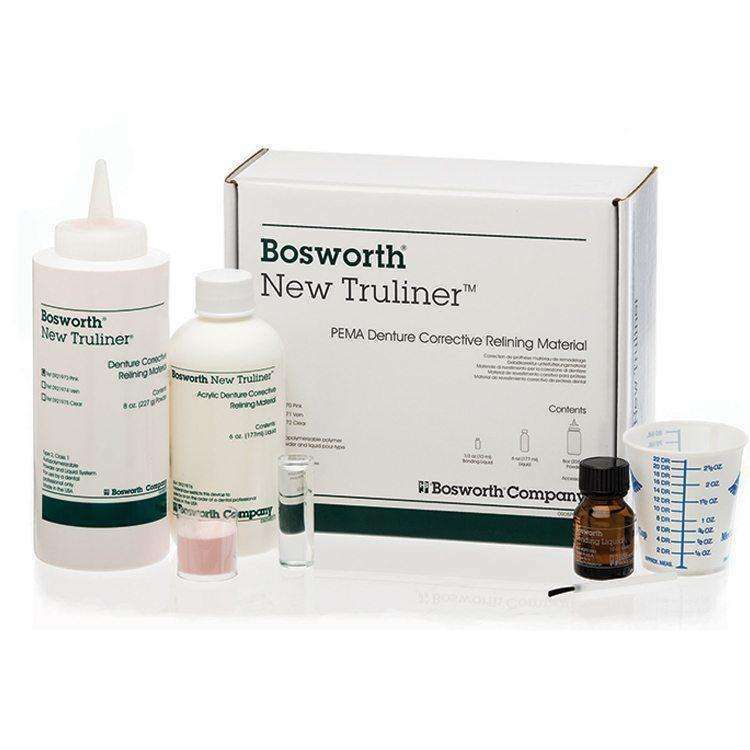 New Truliner® PEMA Denture Corrective Relining Material was developed to restore a denture’s original fit in as little as 10 minutes. Color stable and a high density surface guarantee greater patient satisfaction. New Truliner® chemically fuses to the denture in 15-20 minutes and is formulated to last up to one year. Once cured, rebased surfaces can be trimmed and polished like the original denture without showing a line of demarcation. Due to reduced heat, best used for the geriatric demographic. Powder available in pink, vein, and clear. NOTE: New and Original Truliner® Powders and Liquids cannot be interchanged. Case holds 14 Standard Kits. Bulk packaging available.